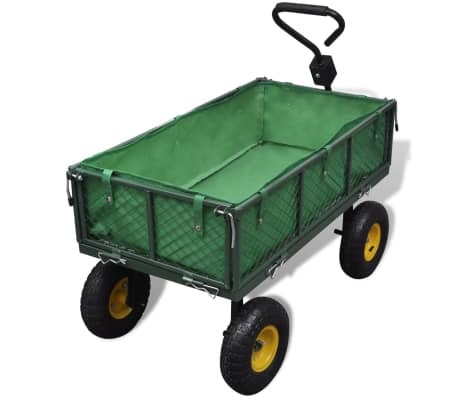 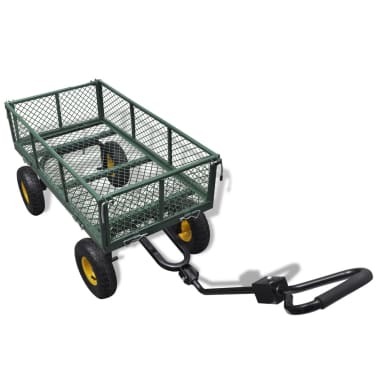 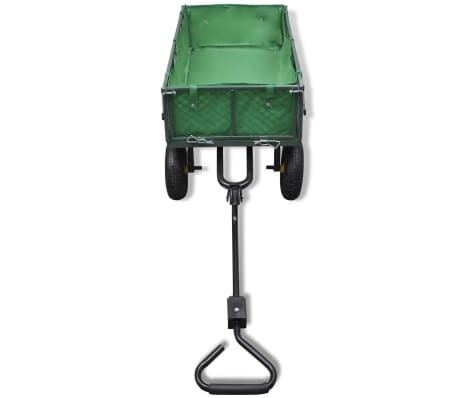 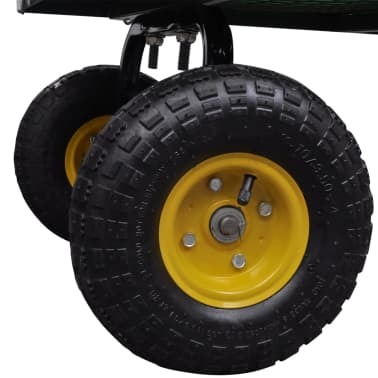 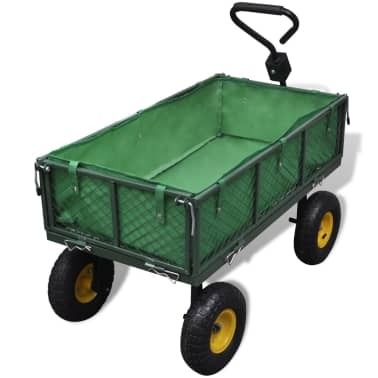 This multifunctional garden trolley can handle a load of up to 350 kg, and can be used to transport your crops, plants, fertiliser, tools and many other goods. 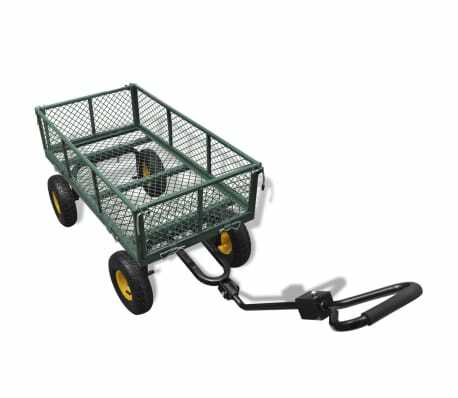 The side panels are hinged with a quick release system, which allows you to easily fold the trolley. 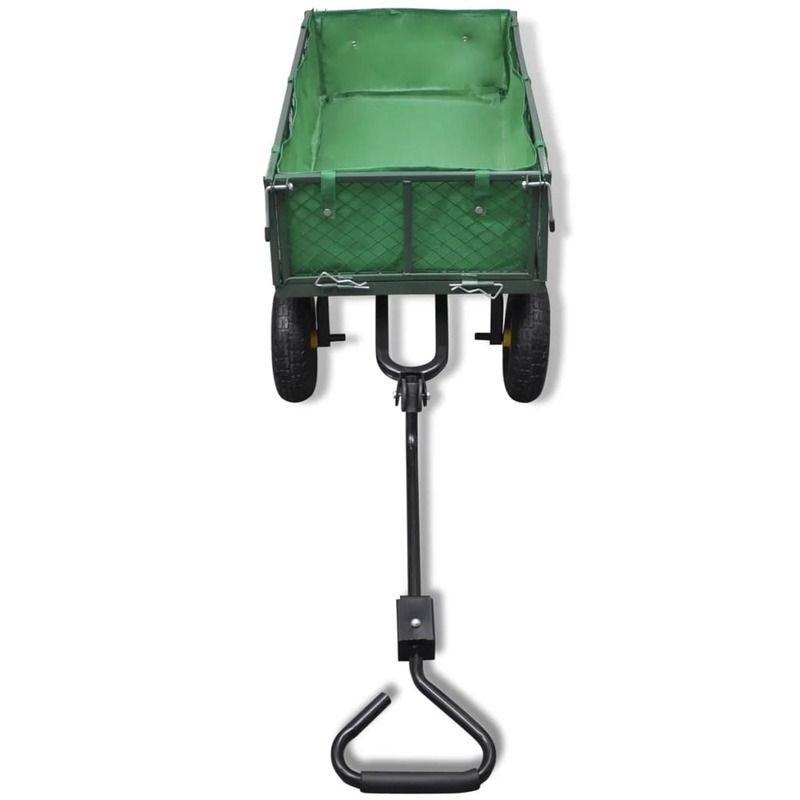 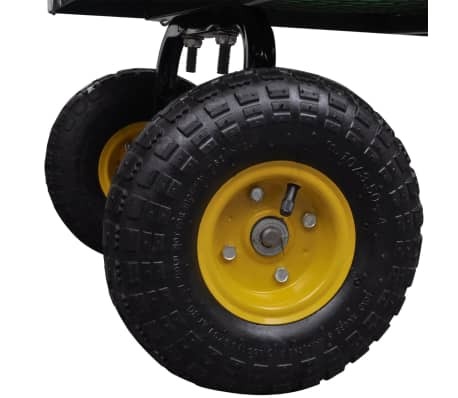 This will help you carry heavy loads in a practical manner (minimum height / maximum security). 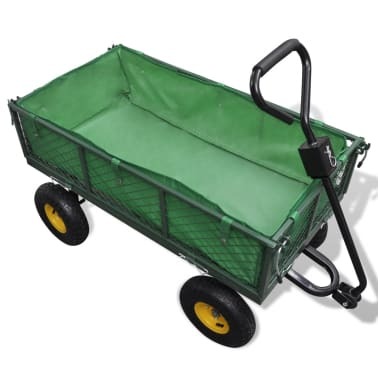 The handles are cushioned. 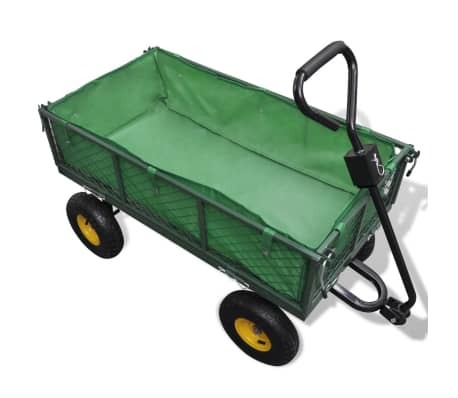 A liner bag is included, which allows you to carry sand and dirt. 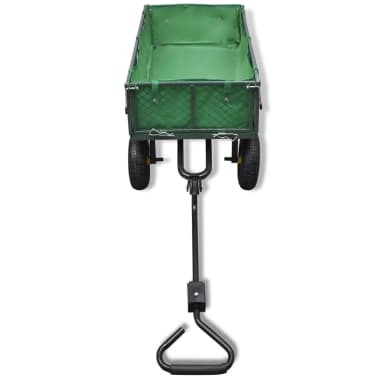 This bag can also be used as a transport bag.